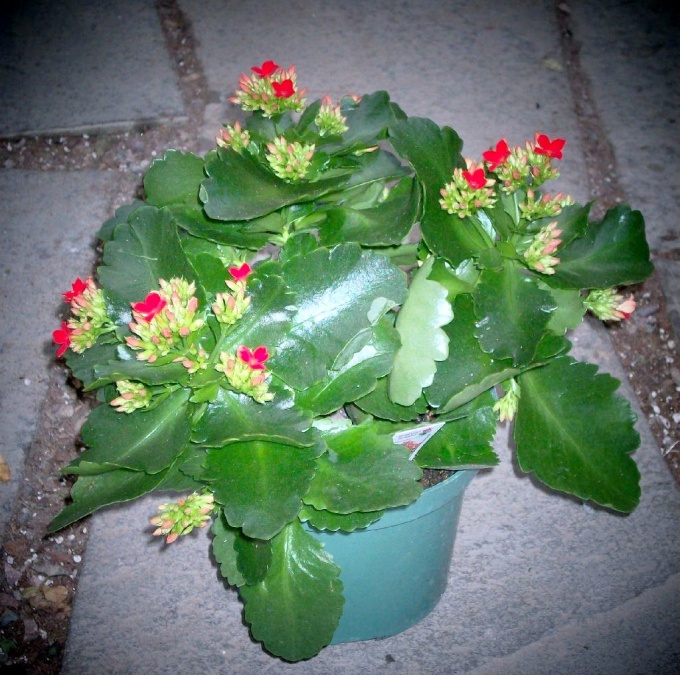 Kalanchoe is one of the most popular houseplants. In the apartments there are several types. Kalanchoe is not only exquisite decoration, but also an excellent remedy. The juice from its fleshy leaves is able to relieve a cold, treat boils and inflammations, and one of its types even got people in the name of "the surgeon". Kalanchoe grows very quickly and doesn't always look the way we would like the owners. The crown must be formed. Watch the plant. Kalanchoe, standing on a light box, is able to grow even in a jar of water. The rapid growth characteristic of virtually all species of plants. However, too overgrown upper shoots the leaves become smaller and smaller, and shoots themselves look thin and not particularly beautiful. At the same time strongly stretched tall plants often do not have the strength to bloom, although in fact almost all varieties of Kalanchoe bloom in the apartments very willingly. Seeing such displays, tune in to what you will have to nip off superfluous shoots. Don't be afraid of this moment, such an operation will go to flower good. Don't touch the flower until its crown is thick, and the leaves are large and beautiful. As only a thin viable top — remove it. Kalanchoe perfectly tolerate such operations, the plant does not need even be prepared. Its stem is soft enough, so tear off the top of a nail. The wound usually is not formed. If it is still there (and this happens when the stem is already quite thick, sprinkle it with charcoal or ashes. Enough ashes from a small burnt piece of paper. After pridobivanje very quickly be a couple of side shoots. Let the first shoots to grow freely. It may well be that no operation is no longer required, and Kalanchoe will maintain its compact shape. However, this is not always the case. New shoots may initially grow well and give a great fleshy leaves, and in some point again become thin and ugly. Noticing this, presidnete plant again. Do it exactly the same as with the first escape. Presidnete Kalanchoe and if blooming does not give long buds. Time pridobivanje depends on the specific conditions. But usually standing on the South window flower pinch out until the end of November. If he lives on the Western or Eastern window, then it can be done at any time. On the North side of Kalanchoe does not like to grow and do not bloom. Some species of Kalanchoe pinch makes no sense. These include, for example, Kalanchoe Degremona. The people had several names. The names of the "surgeon" and "doctor" he received for the healing properties and "crocodile" the shape of the leaves. Between the teeth of its leaves is grow young seedlings. Leaves "surgeon" grow in pairs, they are usually fleshy along the entire height of the plant, and pinch it is not necessary. But in principle it can be done, it brings great topping and gives the side shoots, though less readily than other types.